Although not targeted by hunters the Iberian Lynx is a category 1 endangered species which means that there are less than 100 in the wild. Their main staple diet is the hare. Most of the ones killed, lose their lives in traps set for other animals. A beautiful animal. 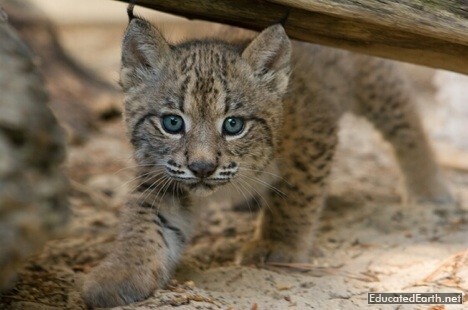 The Iberian Lynx, the most endangered of the world's 36 cats, stands on the edge of extinction. The latest studies, based on DNA analysis, make depressing reading. Despite decades of protection, millions of pesetas and euros spent, hundreds of studies, and the work of some of Europe's best conservationists and zoologists, just over one hundred viable adults remain in the wild (in comparison, say, with some 8,000 tigers) divided between two unconnected breeding populations in Andalusia. Whoever and whatever is to blame, the lynx's imminent disappearance will be the first extinction of a world feline, discounting sub-species of tigers and lions, since the sabre-toothed tiger some 10,000 years ago and will forever leave a dark mark on Spanish conservationism. I know it would be sad to see such a beautiful animal disappear totally.